Lemon water is delicious and healthy. It’s an easy way to boost your intake of vitamin C, which can help lower blood pressure and reduce your risk of cardiovascular disease. It can also improve your skin health and support weight loss, while aiding digestion. Plus, it can keep your breath fresh and lemony. Oh, and did we mention it tastes pretty yummy? Unfortunately, like everything in life, it’s possible to have too much lemon water. In excess, lemon water can have some surprisingly worrying impacts on your health. While a cup or two a day might not hurt, guzzling large amounts of lemon water can do more harm than good, and in the long term, snowball into serious health problems. Bear in mind that there’s no set amount of lemon water that’s considered unsafe; we’re all different, and all have different tolerance levels. That said, here are six health issues that can arise from drinking too much lemon water. 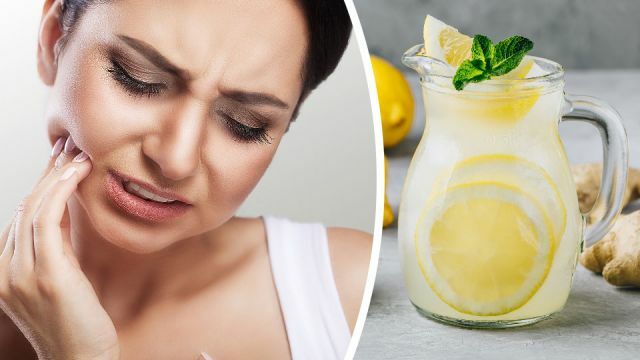 If you’re experiencing any of these, then it might be time to take it easy on the lemon water. Hey Buddy!, I found this information for you: "6 Scary Reasons To Avoid Drinking Too Much Lemon Water". Here is the website link: https://www.thealternativedaily.com/6-scary-reasons-to-avoid-drinking-too-much-lemon-water/. Thank you.